Hadia Mubarak is a lecturer on Religion and Gender at the University of North Carolina at Charlotte. She completed her PhD in Islamic Studies from Georgetown University, where she specialized in modern and classical Qurʾanic exegesis, Islamic law, Islamic feminism, and gender reform in the modern Muslim world. 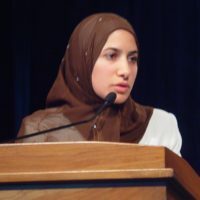 Mubarak previously worked as a Senior Researcher at the Center for Muslim-Christian Understanding at Georgetown University and a researcher at the Gallup Organization’s Center for Muslim Studies, where she contributed research to Who Speaks for Islam: What a Billion Muslims Really Think (Gallup Press, 2008) and The Future of Islam by John Esposito. In 2006, Mubarak joined the “Islam in the Age of Globalization” initiative, sponsored by American University, Brookings Institute and the Pew Forum. As a field researcher, Mubarak conducted on-site interviews and surveys with a range of Muslim scholars, government officials, activists, students, and journalists in Qatar, Jordan, Syria, Turkey, Pakistan and India and published an analysis of these surveys in Journey into Islam: The Crisis of Globalization (The Brookings Institution Press, 2008). In 2004, Mubarak was the first female to be elected as president of the Muslim Students Association National (MSA) since its establishment in 1963. Mubarak received her Master’s degree in Contemporary Arab Studies with a concentration in Women and Gender from Georgetown University. She received her Bachelor’s degree in International Affairs and English from Florida State University. Her publications include “Crossroads” in I Speak For Myself: American Women on Being Muslim (White Cloud Press, 2011), “Intersections: Modernity, Gender and Qurʾanic exegesis” (PhD Diss, Georgetown University, 2014), “Young and Muslim in Post 9/11 America” (The Brandywine Review of Faith & International Affairs Vol. 3, No. 2); “Breaking the Interpretive Monopoly: A Re-Examination of Verse 4:34” (Hawwa Vol. 2, Issue 3); The Politicization of Gender Reform: Islamists’ discourse on repealing Article 340 of the Jordanian Penal Code (MA Thesis, Georgetown University, 2005); and “Blurring the Lines Between Faith and Culture” (America Now: Short Readings from Recent Periodicals. 5th ed. ), among many others. “Muslim Marriage Contracts: Female Agency and Autonomy,” Berkley Forum, Berkley Center for Religion Peace and World Affairs (December 3, 2014). “How Muslim Students Negotiate their Religious Identity and Practices in an Undergraduate Setting,” Social Science Research Council, The Religious Engagement of American Undergraduates Series (May 8, 2007). “Crossroads,” I Speak for Myself: American Women on Being Muslim, ed. Maria Ebrahimji and Zahra Suratwala (Ashland, OR: White Cloud Press, 2011), 65–70. 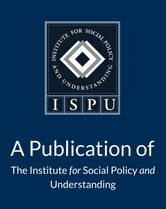 “Appendix: Analysis of the Questionnaires,” Journey into Islam: The Crisis of Globalization (Washington, D.C.: Brookings Institution Press, 2007), 275–85. 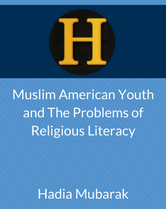 “Young and Muslim in Post 9/11 America,” The Brandywine Review of Faith & International Affairs 3, no. 2 (Fall 2005): 41–43. “Breaking the Interpretive Monopoly: A Re-Examination of Verse 4:34,” Hawwa: Journal of Women of the Middle East and Islamic World 2, no. 3 (2004): 261–89. “Blurring the Lines Between Faith and Culture,” America Now: Short Readings from Recent Periodicals, 5th ed., ed. Robert Atwan (Boston: Bedford/St. Martin’s, 2003). Contributed multiple entries to The Oxford Encyclopedia of the Islamic World, Oxford Islamic Studies Online on subjects such as marriage and divorce, ʿurf, veiling, ʿAmr Khaled, khutba, and others. Over 100 additional articles in The Washington Post’s On Faith forum, Tallahassee Democrat, News Herald and FSView & Florida Flambeau.